To have an ideal tour to Dar-es-Salaam, cheap flights, budget accommodation and many associated traveling services are required. We feel proud to offer our valued clients with all essential traveling amenities to make your trip truly perfect and memorable. Flights to Dar-es-Salaam are taking you to the sanctuary of serenity and peace, which is eminent as commercial and business hub of Tanzania, and introduced a lively but secure living than other major cities of Africa. Get advantage of our special offers of discounted airline tickets and have a safe and comfy traveling to the biggest and wealthiest city of Tanzania. The city is offering direct access to many East African places due to its location on the port. The world famous Airlines are landing at Dar-es-Salaam international airport which is now known as Julius Nyerere International Airport and operating flights from U.K.
major airports including Manchester, London Gatwick, London Heathrow, Edinburgh, Bristol, Birmingham etc. Flights to Dar-es-Salaam are operating directly and indirectly from U.K. The Airlines offering cheap flights to Dar-es-Salaam are British Airways, Qatar Airways, Emirates, and KLM Airlines. Among all these Airlines only British Airways is offering direct flights and the rest of all are offering connecting flights to Dar-es-Salaam. We intend to provide you perfect and memorable traveling services at affordable prices with the lowest cost guaranteed. Established since 1986, we are honored to serve thousands of clients, retaining them and growing more and more with our best flights booking and other traveling amenities. 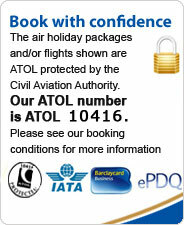 You can book anywhere around the world from all U.K. airports. Sign up to receive news and fantastic offers from all major airlines. Travel with many choices either with first class, economy class or business class. We are serving with the contemporary traveling services in our all classes. You can enjoy fabulous packages of cheap airfares and inexpensive accommodation to have a wonderful tour to Dar-es-Salaam. Don't miss the stunning attractions offered by the city that include Makumbusho Village museum, Karimjee Hall, National Museum, Zoological Gardens and dazzling beaches of the city. Whether you catch a flight to Dar-es-Salaam for business purpose but don't overlook the chance to visit these highlights offered by the city. Call now to know about the discounted offers available for Dar-es-Salaam.